2 BED/2 BATH GROUND FLOOR BEACHFRONT CONDO ON THE GULF OF MEXICOCompletely updated unit with Gulf front views, walk right onto the beach! 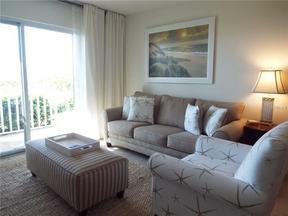 New furnishings in this 1st floor unit 2-bedroom, 2-bath condo with king bed in the master bedrooom and Gulf views. Turnkey furnished, open floor-plan in kitchen, living and dining. pull-out couch in living room with lovely outdoor patio. Walk-in shower in master bath and tub/shower in guest bath. Just bring your food and clothes! Located near Harry's and Euphemia Haye restaurants, two of Longboat's most favorite spots on the quieter, pristine north end. Enjoy walks on the beach and sunsets nightly. Just across the road from Durante Park, a 30-acre park with picnic tables, fishing pier and pathways down to the bay. Short drive to St. Armand's Circle, Sarasota and Anna Maria Island. If this unit is not available for the time period that you are looking for, owner does have another unit in this community that may be available. Rates shown are base rents that include utilities. Additional fees include departure cleaning fees, Internet fees if not provided by Owner, sales/resort taxes and pet fees if applicable. Note that rates are subject to change without notice and reservations are not guaranteed until initial reservation deposit is received.